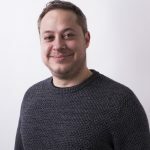 Written by technologist and tinkerer, Sean M. Tracey, Make Games with Python is made up of ten chapters that take you on a whirlwind tour of Pygame’s game-making capabilities. 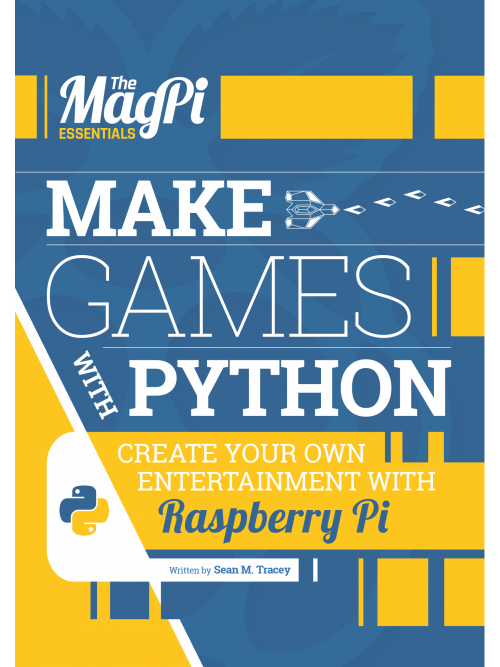 The book helps you learn essentials Python skills like lists, dictionaries, classes and more. Like the look of The Essentials range? You might quite fancy Conquer the Command Line. The terminal window isn’t as scary as you might think! If you’d like to support the Raspberry Pi Foundation’s charitable aims you can buy both Make Games with Python and Conquer the Command Line on your favourite Apple or Android device for £2.99 / $3.99 each. 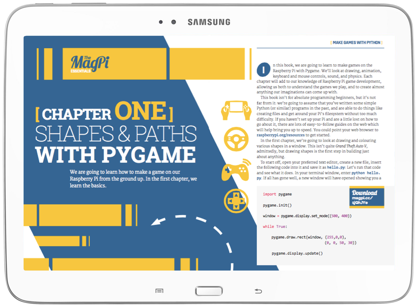 The MagPi app itself is entirely free to download and comes complete with the first 30 issues free! Will this book and the others in your (EXCELLENT) Essentials series be available in print? I really loved the command line one, which has been more helpful than I could have imagined. Thanks for reading and glad to hear Conquer the Command Line is helping! Thank you! I love to see that the Foundation is providing free material like this and your other books as well as all the icredible learning resources. It is good to see a charity behaving like one. Great to see books like this being published. Could we some Like / Share on Twitter/FB buttons for posts like this? Thanks. My best game was published as ‘Game of the Month’ in December 1986 Electron User magazine, written when I was 15. The sequel is long overdue. wow look at your code! What language is it? Looks a lot like BBC BASIC to me! Official calendar, with bonus February 29!